Joel Tudor's BATMAN model longboard. Big no-frills noserider in a clear gloss and polish finish. Lo-profile "By Tudor" black and aqua logo on deck. Custom triple stringers; double 1/8" Basswoods set 1.5" from a 1/4" Redwood core. Bat-tail design with a big nose concave, light tail and knee patches. Single fin box, fin included. 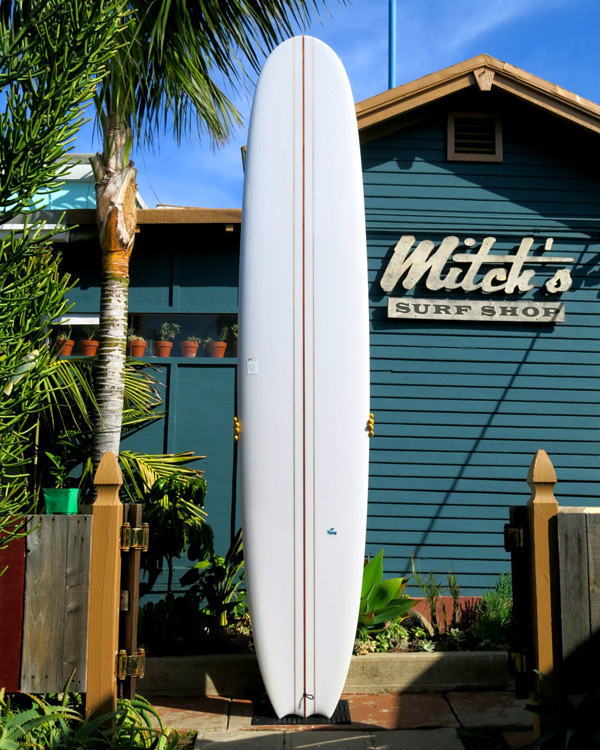 Length: 10' Width: 23 1/4" Thick: 3 1/4"
Shaped & signed by Hank Byzak.